He made a healthy living by making hundreds of demo records for already established singers such as Nat "King" Cole, Clyde McPhatter, and Roy Hamilton. Brook Benton was a talented songwriter and wrote his first two hits as well as other compositions with Clyde Otis. These became top ten pop hits for other artists, including the Diamonds' The Stroll, Nat Cole's Looking Back, and Clyde McPhatter's A Lover's Question. The partnership of Otis and Benton worked well. Brook’s silky smooth baritone voice was complemented beautifully by the lush, violin-studded variation on the standard R&B sound invented by the writer. Other hits followed: "Thank You Pretty Baby," (1959) "So Many Ways," (1959) and "Kiddio." (1960). Brook had a certain warmth in his voice that attracted a wide variety of listeners. He sang ballads that led to comparisons with Frank Sinatra, Nat Cole, and Tony Bennett. He had another top ten hit with So Many Ways. In the early 60s, Benton bounced between labels and was paired with Dinah Washington. The duo had a couple of hits with “Baby (You've Got What It Takes)" and "A Rockin' Good Way” (1960). My favorite Brooke Benton song was released in 1960, a Johnny Mercer composition “Fools Rush In (Where Angels Fear to tread). It was another hit, which was followed in quick succession by the revival of a traditional American folk song titled “The Boll Weevil Song” (1961). This gave the singer, his greatest chart success. His string of hits slowed down from 1963, although he still managed to reach the top forty with records such as I Got What I Wanted and Two Tickets to Paradise, and Going Going Gone (1964). The arrival of the Beatles marked a change in taste by the record buying public and heralded the end for Brook as a main headliner. In 1970 Brook came up with a version of a Tony Joe white song which was to become his theme tune, Rainy Night in Georgia. 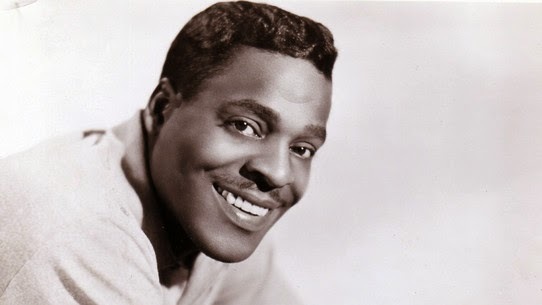 Brook Benton remained popular as a performer, particularly in Great Britain, into the 80's. He died in New York City in 1988 of complications from spinal meningitis.